This is the LAST quilt in Quilt Lab. I hope you have enjoyed seeing everyone's variations as much as I have! 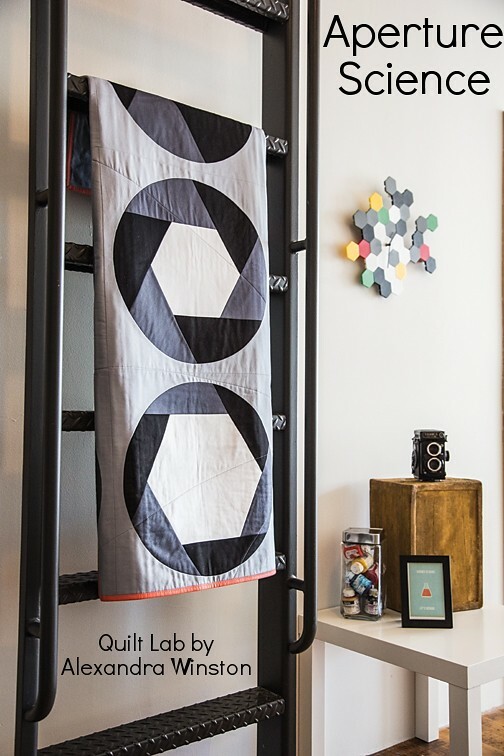 This week Amanda worked her magic on Aperture Science and made a stunning quilt. I used mostly solids in the book version, but Amanda shows how great this quilt can look in prints (dare I say better than my solids???). While not really a mistake, I think I could have been clearer. C&T is revising the directions for the digital version. On the camera block instructions, step 6, the measurements are taken from the top (long side). Don't forget that next week Angela will be sharing her take on an inspiration photo in the book. ;) And a free tutorial too. Absolutely love this! Clever girl.